The Black Swan. I thought about watching this movie when I knew it's staring Natalie Portman without even know what it is about! I love Natalie Portman, I think she's a great actress & So beautiful! She gone totally bald for the movie " V" and was still so beautiful! So I actually watched the movie without seeing the pre-view so I didn't know what the movie was going to be about. The movie doesn't 'explain' why things happen even till the end. Usually I wouldn't like vague movies 'cause it would seem there is no beginning or ending. However, I was quite pleased with the movie overall. Without thinking, the movie can seem confusing, but actually I think it just shows the inner emotions and expressions literally on screen. 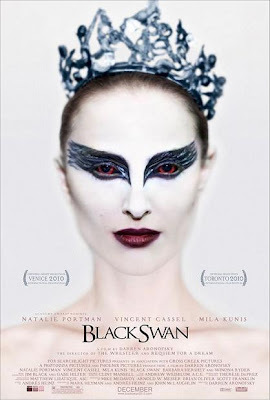 This is a triller/drama movie that is not focus about the art of ballet, instead it's about Nina ( Natalie Portman) performing the " black swan". Since she's naturally a perfect " white swan", her only challenge was to perfection the black swan & it literally came to life! I rate this movie 4.5 stars, a movie that I would watch again because of it's double meaning in many things, I could be missing somethings the first time I watched it. wow, ballet! i like her. she's hot and talented! 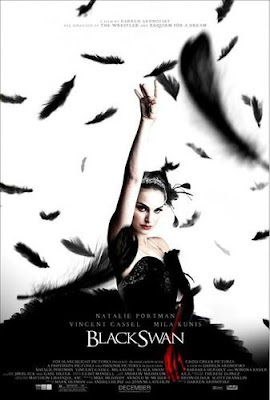 I love Natalie Portman and I'm dying to see this movie! Can't wait for it to come out in Italy! @Jerome C. i agree~ though i think of her more as " beautiful" than "hot" haha. I just LOVE this kind of movie and we barely have many towards the year and Black Swan just made my year even better. Hi! A friend of mine is eager to watch this film, i think i´m going to watch it whit her jiji.